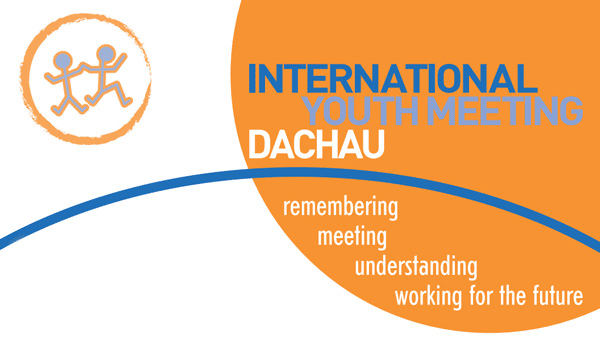 The 37th International Youth Meeting Dachau is going to take place in the Max Mannheimer House in Dachau from the 27th of July until the 09th of August 2019. Participation is possible from ages 16 to 26. The IYM's common language is English. The attendance fee is 280,-€. Participants are accommodated in the Max Mannheimer House Dachau. Participants from Dachau region have the opportunity to only take part in the first week. In order to take part in the IYM you have to be between 16 and 26. You ought to be interested in the topic and content. Thematic knowledge is indeed helpful but not required. It is absolutely necessary for you to understand English and be able to interact without major problems. All of the workshops take place in English! Part of your application is a short motivation letter in which you will briefly state the following points: Who are you? What do you do? Why do you want to join the IYM? What about the IYM interests you? If you need a visa for your participation in IYM it’s absolutely necessary to apply before the 01st of May 2019! You can also contact our office (info•jugendbegegnung-dachau,de) for further details. The participation fee amounts to 280,-€. This includes accommodation, catering and program expenses. Participants are accommodated in 4-bed-dorms in the International Youth Hostel Dachau. In exceptional cases a discount is possible on demand. For participants from the Dachau region and surroundings: It’s additionally possible to take part on a one week basis with or without accommodation (with an option to extend to the full two weeks at short notice). Fees without accommodation for a one-week programm are 80.-€, for 14 days 140,-€. 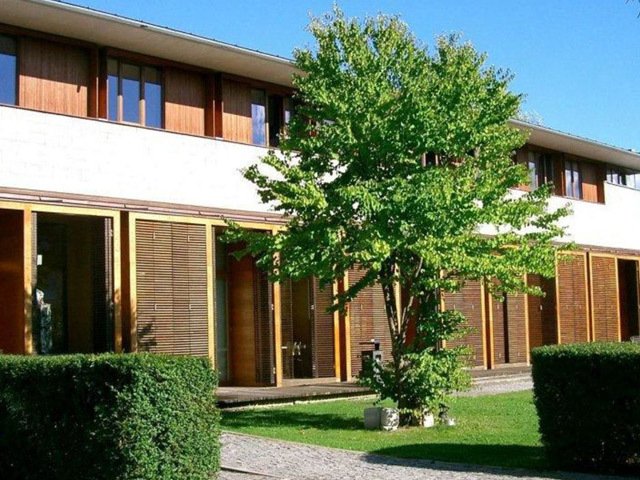 Participants will be staying at the International Youth Hostel Dachau in the Max Mannheimer House. Most participants are going to be accommodated in 4-bed-dorms with shower and toilet en suite. Click here for further details. You don’t have to worry about taking your own bedding but please bring your own towel! Catering includes breakfast, lunch and dinner. There’s one warm meal a day. Of course you’ll be able to choose vegetarian catering, too. Unfortunately we don’t offer halal or kosher catering. The International Youth Hostel Dachau is handicap accessible. All rooms can be accessed barrier-free and the building has an elevator. The Max Mannheimer House has a large backyard garden. A small grove ordering at a river is situated just a few steps away. There’s also a bistro belonging to the Youth Hostel, that is open every evening. Just a few minutes away you can find a supermarket, a drugstore, several different banks, an internet café, a couple of small shops and a bus stop. You will receive a detailed overview with your confirmation of registration. You should be able to find your way to the Max Mannheimer House yourself, but don’t hesitate to ask us for help if you arrive at night or have problems with your luggage. In appreciation of the merits, that Max Mannheimer earned himself in the conclusion and the establishment of the International Youth Meeting Dachau (IYM), and with the intention to keep his legacy alive, the supporting organizations of the IYM founded the Max Mannheimer Scholarship on the initiative of the “Dachauer Runder Tisch Zeitgeschichte”. Patron of the scholarship program is the county commissoner of Dachau Mr. Stefan Löwl. This scholarship is supposed to enable young people from Germany and abroad to take part at the annual IYM in Dachau. There are at least three scholarships available. The grant amounts to a maximum of 750,-€. It comprises the participation fee of 280,-€, traveling expenses of up to 400,-€ and 70,-€ allowance (to be used on-site). The stipendiaries’ mission is to creatively process the experiences they make at the IYM (e.g. by writing an essay or making a video- or photo documentary). Furthermore, the scholarship fund requires, that experiences gained on the IYM will be presented publicly back home (e.g. at school, in a community center or a youth center). Interested persons may send their letter of application via e-mail to projektleitung•jugendbegegnung-dachau,de until the 15th of April 2019. The application ought to show the applicants motivation and accordingly his/her interest in and previous dealings with the IYM’s topics. Please also illustrate your own voluntary commitment. An account of what is going to be prepared (field report) and how it is going to be presented back home should be made. What happens after I apply online? You’re going to receive a confirmation after posting your registration form. Please note that this confirmation is only final when a receipt of payment is noted or (if appropriate) a Visa is about to be issued. When do I have to pay the participation fee? All participants from EU-countries are required to transfer their fee prior to the IYM. You’ll receive further details from our office after your online registration. Participants from Non-EU-countries may also pay the fee in cash on arrival. When can I take part in the IYM? The age limit for the IYM is 16 to 26 years. Unfortunately, interested teenagers who only turn 16 during the IYM won’t be able to take part for legal reasons. Adequate language skills in English (Minimum B1) are essential for partaking in the IYM in order to fluently communicate with each other. Attention! – all the workshops take place in English! The content of the workshops and the examination of historic aspects are central components of the IYM. Therefore it is mandatory that all participants take a keen interest in the topic of national socialism and make a contribution to the IYM by actively taking part. I am interested in the IYM's topics, but don't know much about the history of national socialism. Can I still take part? Previous knowledge is not necessarily required, but we do encourage you to read up a little on the subject. That way you’ll be able to take more in and quickly take part in discussions. What do I have to be aware of if I'm under 18? Participants under 18 are under the supervision of the IYM Teamers. They also have to abide to German law. In order for you to take part we need your legal guardian’s signature. You can download the parent form here. Please print it out, have it completed and signed by your parents. After you have scanned it in PDF format, please upload it during the online application. How can I withdraw my registration? You have to notify the IYM office by post that you want to declare your withdrawal. Conditions on refunds of your participation fee are stated on your application form. I would like to give a lecture or offer an activity. We’re thrilled to have participants contribute to the IYM’s program. Please inform our office in time, so we can include your ideas into the schedule. I can't get hold of anyone at the IYM office! Unfortunately the IYM office is neither occupied all day long nor every day of the week. Try again! The most promising way to get hold of us is by sending us an e-mail (info•jugendbegegnung-dachau,de). This year we once again expect 130 or so participants of various nationalities. Last year we had, for instance, applications from Poland, Serbia, Russia, Hungary, France, Spain, Japan, Korea, Israel, Denmark, Tanzania, the USA, Estonia, Slovakia, Belarus, Ukraine, Czech Republic and Germany. Many of our participants leave the IYM with a feeling of having made a crucial experience as well as a contribution to a more peaceful world. In addition, nearly everyone takes long-lasting, cross-border friendships back home. Most keep their time at the IYM in their memories forever – that’s if they don’t decide to come again next year. Make sure that your place is reserved by applying early and start looking forward to experiencing an unforgettable time in Dachau!